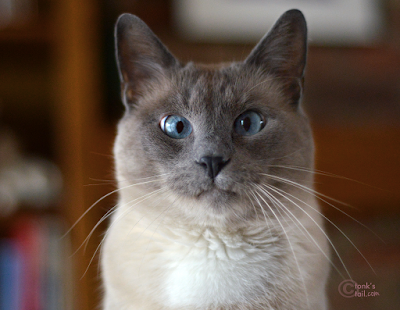 How many times have you heard me lamenting about Maxwell's refusal to eat wet cat food? I even threatened to ship him to his Aunt Connie for an Intervention, he was that stubborn. I've been keeping quiet about it (because I wanted to make sure it was really happening) but something huge happened back in August. Who knows how long it had been going on, but that's when we noticed. Maxwell was stealing Faraday's dinner. His wet food dinner. Right now, I'm all about keeping him interested in wet food - the good, grain free, no plant protein kind. So when I saw there was a campaign on Purina's new Muse® Natural Cat Food, I wanted to see what it was all about. I ran over to PetSmart - that's the only place you can find Muse - to take a look. There are 5 different types of recipes: Chowder, in Broth, with Toppers, in Gravy and Paté. Our kids love Paté, so that was a given. But I wanted to try another style, too, and when I saw that two of them had Bonito Toppers, I thought Faraday might like them. And to be honest, I owe the little guy. Who knows how long Maxie's been stealing his dinner? No wonder the poor thing was acting starved! I picked up several cans of chicken, turkey and salmon. Only seven ingredients (excluding vitamins & supplements) - and the first 5 are meat protein, real fish and poultry. Grain free, and no pea protein, which I really love. 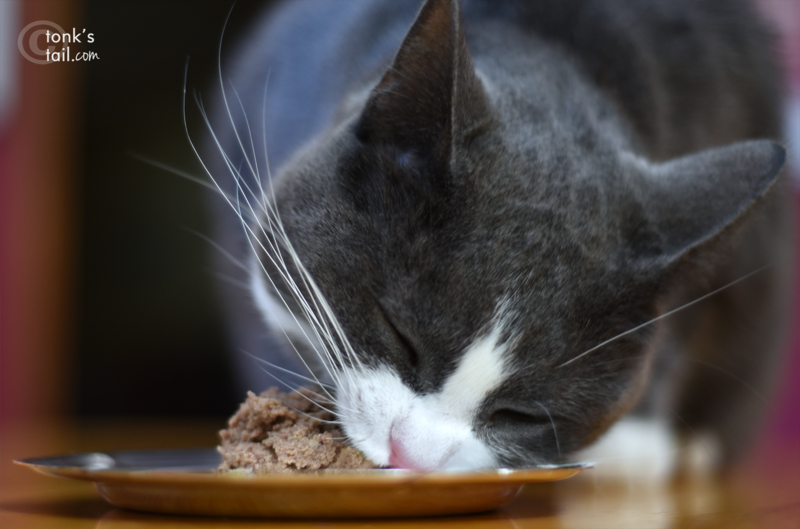 No artificial flavors, colors or preservatives, and 100% complete and balanced for adult cats. I'm pretty pleased with what I saw on their labels. But will Maxie eat it??? Purina states that "Natural has never been so delicious. Put Muse to the test with our clean plate guarantee." Not that we'd ever accuse our little princess of pigging out... but she does love her food. And this definitely appealed to her taste buds. Um, Allie? That's not terribly ladylike. ...Allie? Someone else was really interested, too. Max: "Uh, Allie? Can I have a taste?" Allie: "Get your OWN, this is MINE." Poor Maxie. And once he got his own plate? Well, somekitty decided he'd had enough of his big brother stealing his food. And decided turnaround was fair play. Faraday: "M-m-m. Move it, Maxie. Incoming!" 1 photo = 1,000 dirty words. Calm down, Maxie, I'll get Faraday his own. And refill yours. Um, Maxie? I know you're a bit miffed, but be careful. Your face might freeze that way. That was taken a week ago. They're all still happily chowing down - as long as I run interference to make sure everyone gets their fair share. Purina states that "With Muse you don’t have to choose between natural nutrition and food that tastes great. Your cat can have both when you choose Muse." I would agree. I like the ingredients, and they obviously love the flavor. As the mom of one very fickle and stubborn kitty, I also know how tastes can change overnight. Given that that there are two dozen varieties, I like that this gives me options. That was the paté. What about the Toppers? Their initial response not surprising, as under the topper it was shredded food in gravy and none of our three have ever been fans of the shreds. But when I came back an hour later...clean plate. Any guesses as to who might have eaten it? There's a nice Buy 3 Purina Muse Natural Cat Food, Get 3 Free coupon here, if you want to try it out for yourself. 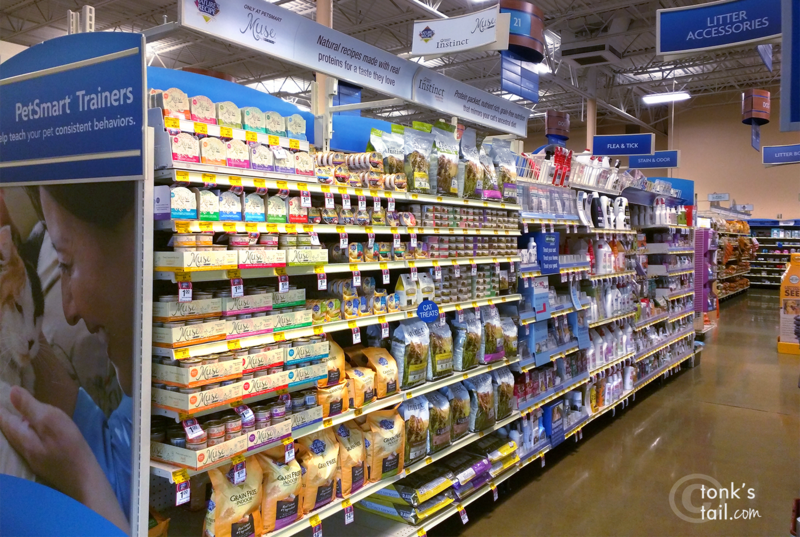 So if you're looking for a good wet food to add to your pantry, I'd love to hear what you (and your cats) think of it! I have a couple cans of Muse set aside for Miss Fussy Mudpie...I'm anxious to see what her thoughts are! Oh I'm a pate' boy and very picky about food BUTTTTT Mom says she'll try this one out on me and I'm glad to hear it.....sounds delish! Interesting to hear about Muse. Maybe I can talk Dad into buying some for me to try. We all steal each other's food too - my human has to stand around like a mess hall prison guard while we're eating! Will have to get some and try to see if my picky eaters will nosh down on it! The Farm cats sucked these down too. There was almost a war as a matter of fact. Congratulations, Maxie, on learning to appreciate wet food. Only the best, of course!!! Looks like a good food. My kitties get wet food for special occasions and just love it. Well done maxie! I like wet food, and gravy has always been my favourite. I never liked it in jelly, but now that is my favourite. Oh me cats and kittens mommy's alweady got da Petsmart site open. Ifin yous read any of meez posts lately yous know meez a big fan of da dwy kibble too and not so much of da wets. This just gave mommy da hope and push dat might make hers win da nom war weez havin'. Glad dat everykitty liked da noms. Paws up, Maxwell! That bite Fraday was taking while stealing his food was totally Ashtonworthy, too. Pierre has been difficult recently with food and has been getting what the head peep calls "junk food" to get him to eat. This might be worth a look to see if it interests our fussy eater, too. So we guess that sometimes food thieving can actually lead to good things! Hmmm, too bad Petsmart is so far from our den...but maybe Minko would eat it by himself. We loved seeing you chow down so heartily!